One of the primary benefits of induction brazing is that when performed correctly, it produces higher quality joints that are more durable. Brazing machinery and the resulting process results in cleaner, leak-proof joints because they prevent filler materials from flowing into areas where they shouldn't be. This is one of the biggest reasons why induction brazing is so often used in applications that require a high level of precision and reliability. Compared to other heating applications such as flame brazing, induction heating processes allow more parts to be processed in the same amount of time, which results in faster heating cycles. Plus, less heat gets released into the surrounding area, which improves efficiency. An induction brazing system that is properly installed will give off heat to one specific and localized area to reduce distortion and optimize the overall process. In a normal atmosphere, flame heating causes oxidation, scaling, and other carbon residue and buildup on the system's parts. Keeping these components clean typically requires expensive acid cleaning baths and joint-weakening flux applications. Induction heating equipment and brazing, on the other hand, significantly reduce oxidation and the need for other costly cleaning procedures. And when a fast cool-down cycle is implemented, these benefits only escalate. Finally, induction brazing is advantageous in the sense that it is a very formulaic and repeatable process. There's little to no guesswork involved because the main variables -- alloy, fixturing, temperature, and part positioning -- are entirely controllable. Furthermore, the induction power supply can be utilized to monitor and control any given cycle time. Plus, visual temperature sensors and pyrometers can help with temperature control. Ultimately, the basic principles of induction heating have been applied to manufacturing since the 1920s. Understanding these benefits can help you make the best decisions for your industrial heating application needs. 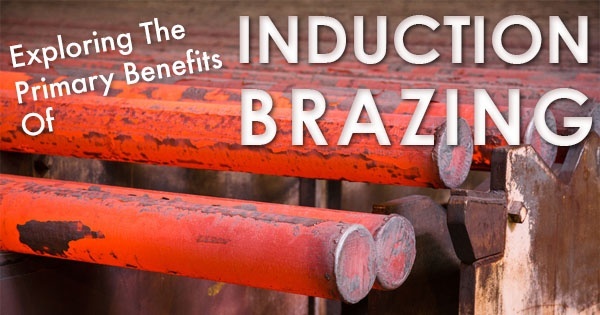 For more information about what is induction heating or what industries need brazing machinery, contact Ambrell Corporation.